Casey Donovan has issues: hair, height and uncontrollable trips to the 19th century! And now this --she's accidentally taken Nate Mackenzie, the cutest boy in the school, back in time. Awkward. Protocol pressures her to tell their 1860 hosts that he is her brother, and when Casey finds she has a handsome, wealthy (and unwanted) suitor, something changes in Nate. Are those romantic sparks or is it just "brotherly" protectiveness? "What a fun read! Author Elle Strauss successfully combines adventure, time travel and romance all in one book. 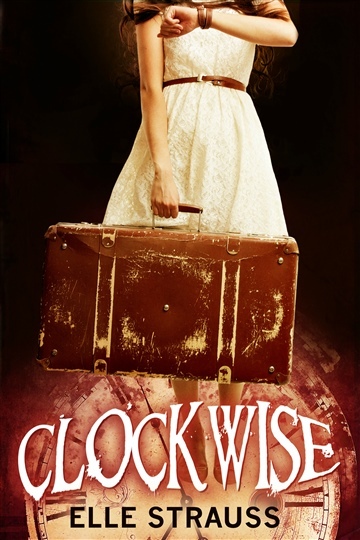 This isn't your typical sci-fi, time travel book"
"This is a light-hearted time-travel. Part adventure, some disaster, a dash of comedy and an edge of romance." "Oh I absolutely loved Clockwise! It was such a fun, interesting and cute read and I was cheering and laughing all the way. I love how this book was a fun and CLEAN book. "